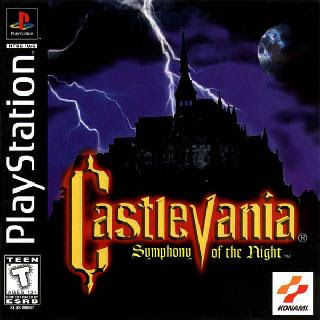 When Castlevania: Symphony of the Night was released in 1997, it was heralded as not only the greatest game in the Castlevania franchise, but also one of the greatest games to be released in the 90s. It has been ported to the Xbox 360, Playstation Portable, and Playstation 3 consoles in recent years, and those versions typically utilize the source code of the Playstation 1 iteration of this game. There was a Saturn version, however, and while it may have had some issues with it's graphics engine on Sega's 6th console, it was a game that as far as gameplay is concerned, was superior in some ways that folks may have missed. the final game, but were scrapped at the last second for some reason. In addition to these extra areas, there are enemies specific to them that don't appear in the PS1 version. For the curious, walkthroughs on how to find these typically unreachable areas can be found online, though once you reach them, you may freeze the game so make sure you save your game first. As far as the Playstation version is concerned, once you have beaten the game or the first time, players can do their next run through Dracula's castle as Richter Belmont. In the Saturn version, however, you can play as Richter Belmont and Maria Renard, the girl Richter rescues in Rondo of Blood, right from the start. Each character brings a different play style to the game, and gives Symphony quite the shelf life. This may be the biggest advantage the Saturn version of Symphony of the Night has over it's PS1 counterpart, and this intangible should make it a far more desirable version of the game. For some reason, though, The Saturn version, with it's extra levels and characters feels like it was far less complete than the PS1 version. This was honestly the theme of the 32 bit console skirmish between Sega and Sony. Games released on both consoles typically fared better on the PS1, while the Saturn was filled with sub par and seemingly rushed ports. There was a big reason why the Saturn version of Symphony of the Night was a Japan exclusive. With the console all but dead in the US a few years before, Konami saw no need in releasing the game in our country. With the game selling limited numbers in Japan, it has become a sought after collector's item and has garnered auction prices almost as high as the highly touted Radiant Silvergun. 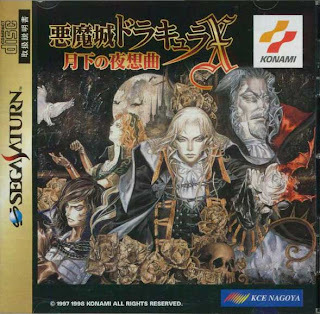 Castlevania: Symphony of the Night has been regarded as one of the greatest games of the 32-Bit era, but the Saturn version, while decent in it's own right falls flat to it's more scaled back Playstation brother. This may explain why the PS1 version has been ported to so many consoles while the Saturn version, with all of it's frills, seems to be forgotten. I'll return with a normal post really soon, so stay tuned. For a long time, good games based on comic book licenses were few and far between, and good games based on DC characters were even harder to come by (Superman 64, anyone?). So when Batman: Arkham Asylum was released in 2009, it caught a lot of gamers of guard with the sheer quality. The game was a great blend of excellent action, stealth gameplay, and a storyline that tied some of the Dark Knight's greatest foes together in a magnificent manner. When Batman: Arkham City was announced, some fans of the first game were nervous, and rightfully so. Arkham Asylum had been the best Batman game since The Adventures of Batman and Robin on the SNES and sequels typically mess things up in a major way. Thankfully, Arkham City is one of the most impressive games to come down the pipe in this console generation. One of the best things about the Arkham games is that the story isn't tied to a cartoon of movie, and with comic writers working on the plot of the games, it leads to an impressive story. without giving up too much info (because this game has only been out a few months and a lot of folks haven't played it), a portion of Gotham City has been walled off and converted into a prison camp that is headed up by Dr. Hugo Strange, and Batman decides he needs to investigate. after infiltrating the prison, it is learned that Dr. Strange knows who Batman really is, and plans to tell the world at some point. Batman also learns of a considerable amount of random crime that is happening within the walls of Arkham City, and goes about his business. Along the way, Batman meets a rather large cast of characters from his universe. They range from the iconic (Penguin, Joker, Mr. Freeze) to the ones more recognizable to fans of the comic (Black Mask, Deadshot, Zsasz). before the credits roll at the end of the game, you will see "The World's Greatest Detective" go up against some pretty harrowing odds, and in the end, one of the great characters in not only comic book history, but the history of literature in general, will meet an untimely demise. Arkham Asylum was a good blend of stealth gameplay with a simple, yet well crafted combat system. Arkham City continues that with a very intuitive system: one button attacks, one counters, one dodges, and one uses the cape. Arkham City retains the same control scheme, with the same amount of emphasis on timing when fighting large groups of enemies. The wealth of gadgets at Batman's disposal makes him incredibly formidable in any situation. From smoke pellets and freeze grenades to the iconic batarang and other devices, Batman pretty much has every item he needs to take out the bad guys with ease. The return of Detective Mode can make things a bit easy when it comes to sneaking up on enemies, and it may keep some gamers from playing in regular mode. That's a travesty, because Arkham City is a beautiful game, and it portrays the darkness Batman thrives in masterfully. The main gameplay gripe I have has nothing to do with the main game. One of the big selling points early on with this game was the prospect of playing as Catwoman. After spending some time with her character, however, I am of the opinion that her character isn't as fun to play as Batman, but since this is Batman's game, he's supposed to be the most fun to play as. Don't get me wrong, though, Catwoman is a fun character to control, just not as fun as Batman. The challenge maps in Arkham City some replayability to the game, giving you the option to attack them as Batman, Catwoman, Nightwing, or Robin(if you buy the DLC for all the extra characters). There's also the immense number of side missions to tackle in the main game that can be revisited after the main story is complete. I beat the main story and was only at 40% when I resumed play. The side missions include investigating a serial killer, protecting political prisoners from inmates looking to assault them, rescue missions, and many other mission types. There's also a "Plus" mode, that offers up more enemies with weapons, disables counter prompts, and dials up the difficulty, making it almost as hard as Batman on the NES. 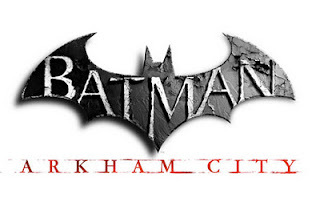 A game that was high on many people's "game of the year" lists at the end of 2011, Arkham City has proven that just a slight polish can make a great game incredible, and it has seemingly turned an iconic comic book character into the face of a fantastic franchise. I'm just curious to see if this series will continue, or will this be the end of this case for the World's Greatest Detective.